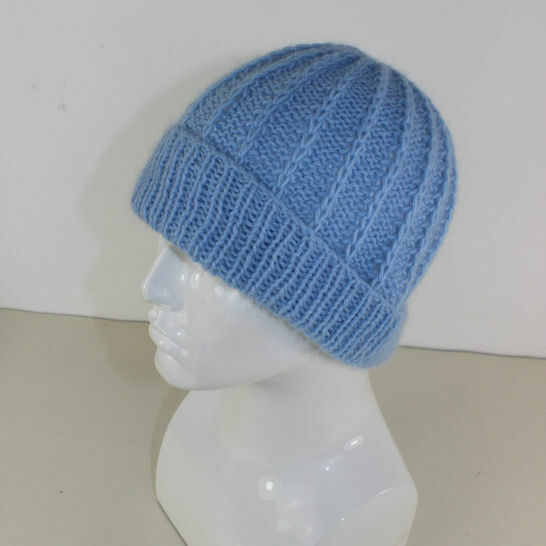 This is my Fluffy Fishermans Rib Beanie Hat knitting pattern.This luxuriously soft and fluffy hat is quick and simple to make with stunning results. The knitting pattern provides full instructions for 4 sizes XS (baby), S ( child), M (teen/woman), and L (man) and there are photos to assist you. Its worked flat on 4 mm needles in any fluffy yarn of your choice that knits like dk (8ply) yarn. This knitting pattern is available here to buy as an immediate pdf download.